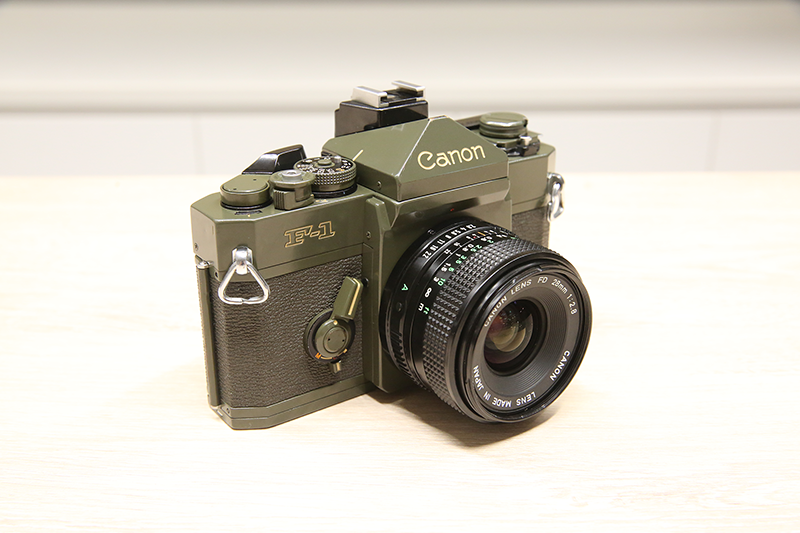 This olive drab (OD) Canon F-1 was made available for a limited run of somewhere between 2000 and 3000 bodies. 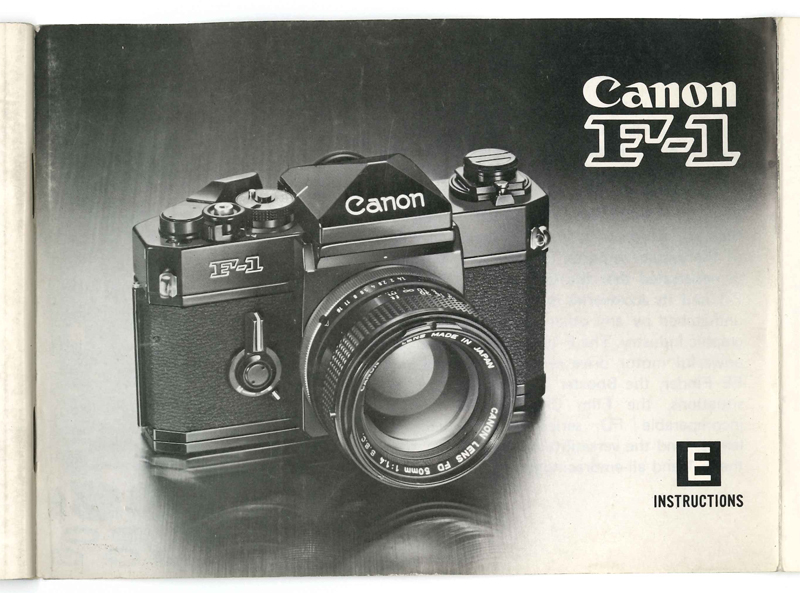 I contacted Canon Japan and they claimed that these were made available starting January of 1978 for 104,000 JPY. According to them there were 1000 made available in Japan and a total run of 2002 units, though they did say they were unable to comment on Canon matters outside of Japan. As such there is little certainty on whether or not these were sold in a separate run in the United States. Certainly Canon Europe appears to believe that they were only sold in Japan. It was sold without a lens and came with an olive-colored case and wide strap. It is essentially a special coat of paint on top of the standard F-1 body. Aside from these, Canon has released limited Olympics -- Montreal (1976) and Lake Placid (1980) -- versions and a Navy issue body. There is also a fabled olive US military government-issue camera with serial #120233, but it is not from the same run. 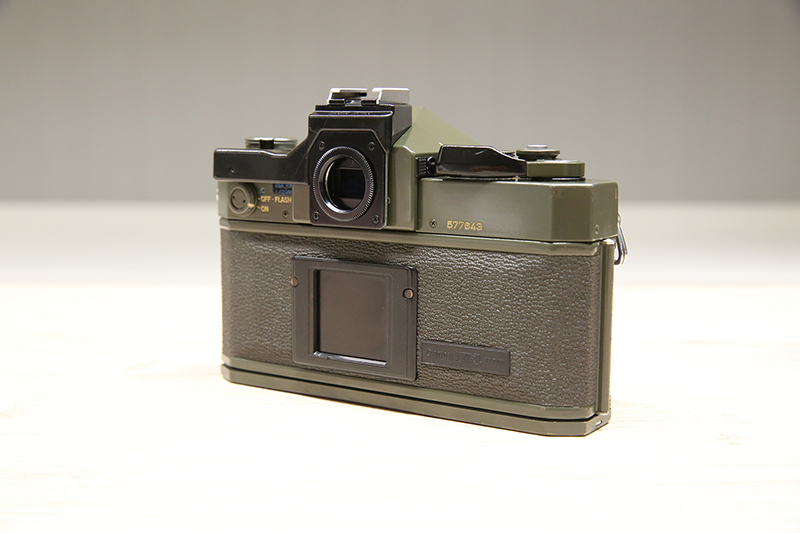 The only other custom color variants of film cameras I'm aware of are the Leica R3 Safari and super-old Olive version of the M3. #572761 Sold by jandy531 for 180,000-220,000 JPY; slight wear on lower left part of the rear panel. #576737 Sold by Photo Arsenal back in the early 2000s in Nuernberg, Germany. #577371 Sold by Camera Ohnuki for 115,500 yen. #578248 Sold by cameraheaven-jp for $2,199.99; A.